If you are planning to keep fish as pet, then you are getting a challenging as well as adorable pet, to fill the emptiness of your home. Unlike dogs they are less demanding, unlike cats they are calm and peace loving, unlike birds you will not be afraid of their flying away. 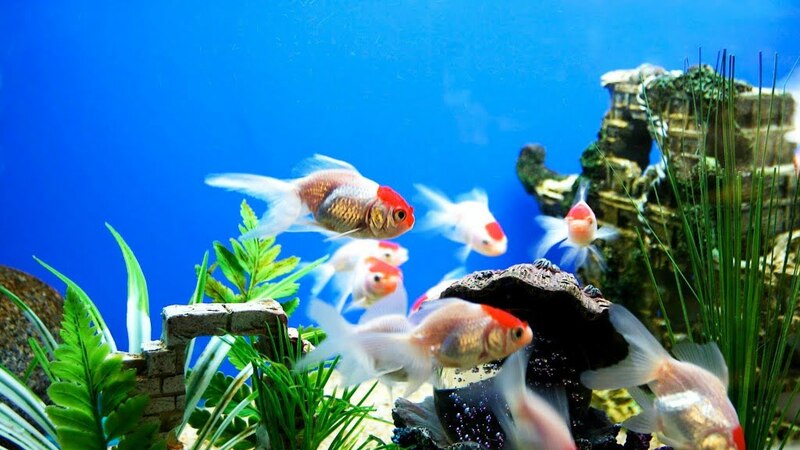 Keeping fish as pets is refreshing and will increase the ornamental value of your home. You can watch them swim in their tanks for hours without getting bored and will enjoy at the behavior of these loving creatures. Fish are more than pets; they will occupy a major part of your life. But before getting them as your pet, you must know various aspects of keeping fish as pets. Here are some guiding points to help you in this endeavor. To keep your fish happy and healthy, create a sufficient and well-lit space for them. Fish enjoy free space around them. Apparently a fish of one inch size needs on an average 3 gallons of water. Different geographical areas have different types of water sources. The water, before filling into the aquarium should be treated since certain chemicals like chlorine are harmful to fish. The health of fish at home is affected by the artificial environment they are living in. 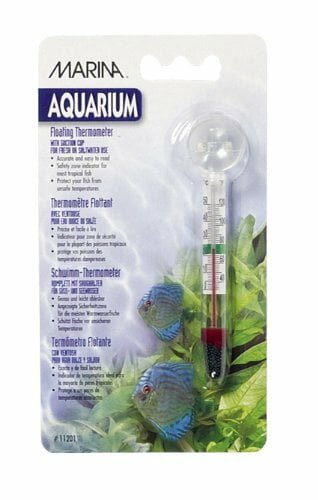 It depends largely upon the pH level of aquarium water so it is utmost important to check the pH levels on a regular basis and balance it whenever required. Waste particles, uneaten food and harmful chemicals, if not filtered out, can be a big hazard to the fitness as well as the happiness of the fish. 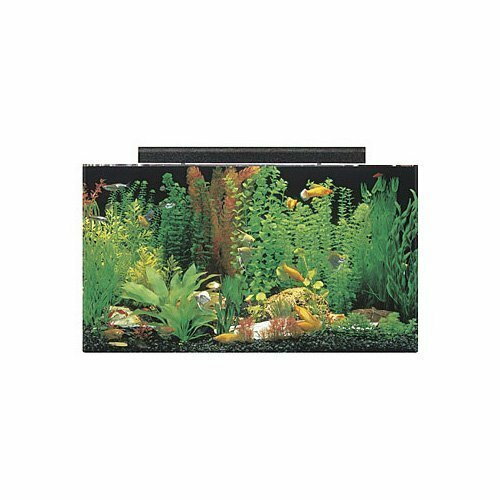 Live plants not only keep the water fresh, but also supply natural oxygen and hiding place for fish. Metal objects should be avoided as hiding places since they can react with water and may get rust and corrosion. So the best thing is to use natural plantation and rocks, which make the tank decorated. Different fish breeds need different temperatures to survive. Whatever the fish breed you keep, installing a temperature controller and a thermometer to monitor temperatures will help with the upkeep of the fish. Cleaning of the tank is highly recommended, the half-eaten feed and excreta of fish generates ammonia and to get rid of toxicity in water, frequent cleaning of the aquarium, without emptying it completely is essential. Inner environmental conditions of aquarium affect the health and well-being of fish, but the surrounding environment of the artificial pool is equally responsible for their happiness. Cigarette smoke, paint fumes, high intensity lights, sound vibrations are certain things you should avoid to keep your fish calm and happy. Proper feed should be given on time and overfeeding should be avoided religiously since un-eaten food leads to ammonia generation and increases the toxin levels in the water. In case you find fish looking a little lethargic or sick, do not ignore to take a sample of aquarium water along with fish to the nearest vet for a check-up and prescription. Some fish require tank-mates to survive, so take care that such demanding fish are accompanied by their compatible fish-type. There are hundreds of fish species to choose from, if you visit a local fish-store or search online. 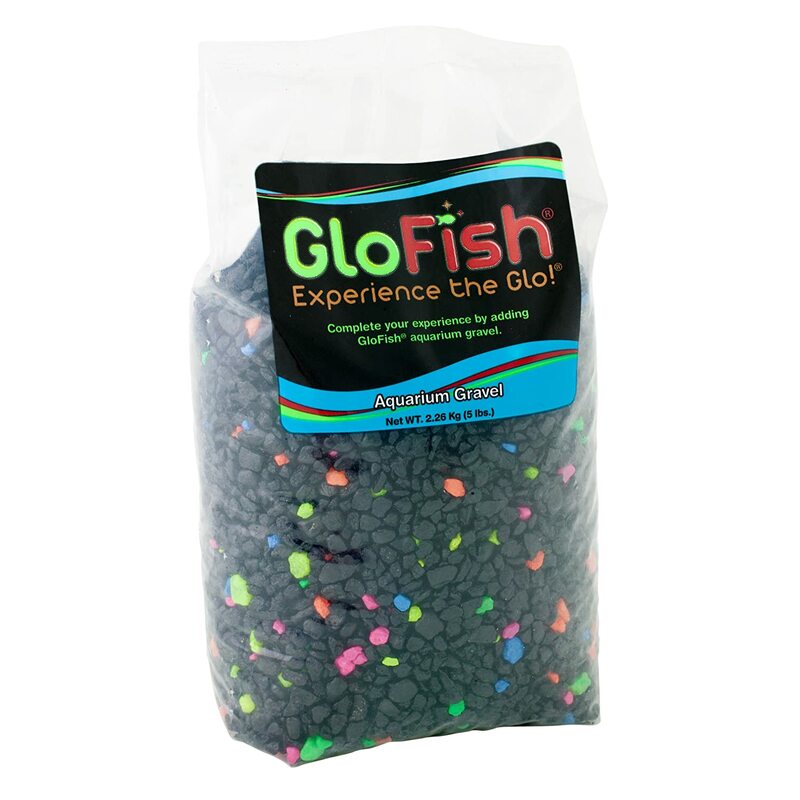 If you are a beginner, you are naturally going to pick a fish for an aquarium that is easy to maintain, peaceful, requires less water change and is non-fuss type. Another parameter to look for while deciding on fish breed is your location’s ambient temperature. Various fish breeds need specific temperature levels to be strictly maintained to survive. 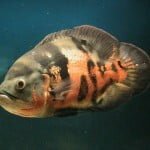 So learning about the different fish behavior is going to assist you in fulfilling your dream of having a fun while keeping fish as pets at your home. Let us straightway find some of the fish brands that are easy to keep at home. Betta are the choice of majority of beginners. They are the simplest of the fish species of all. Although they are notoriously called fighters, maintaining their tanks is easy and does not require any filters or heaters in aquariums. They can be kept even in small bowls and tanks. Betta fish can be kept alone, but it is advised to keep only one male fish in the tank and in case to give them a companion, fish from other species can be kept safely with them Beta fish care is easy and starters can take care of betas without any hassles. Unlike Betta, Tetra fish, a kind of tropical fish, needs a complete set up of the tank, with pumps for filtration and heaters to maintain required temperature. For complete Tetra fish care, excessive plantation is required in aquariums. 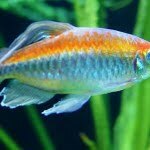 Tetras can be kept with same or other community fish and a perfect pet for starters since these eye-catching species love to live peacefully. Some people think that angel fish care is little difficult since these saltwater fish belonging to Pomacanthidae family, are delicate ones. The freshwater angelfish has a more triangular shape and will generally only grow to a few inches in length. 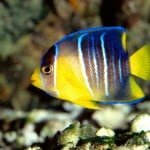 The adult angels do show the signs of aggressiveness and young ones should not be kept with them otherwise they can live with other tropical fish peacefully. 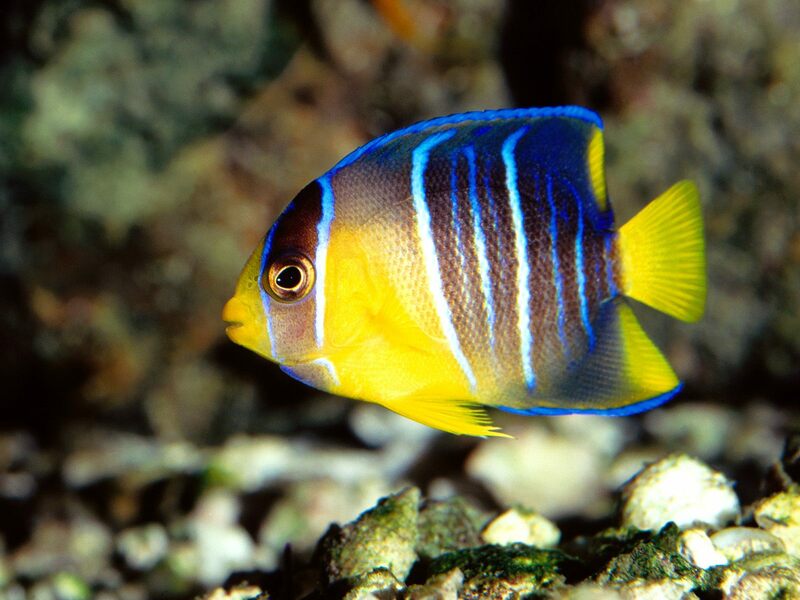 Considering the fact that angel fish can nurture up to 6 inches in length, large fish tanks are recommended. Discus fish has the reputation of being robust and social fish. They would like to interact with you and often observes your movements. Unlike other fishes, they display moods and personalities. 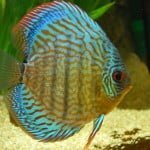 Discus fish care is not an expensive venture, once you understand their behavior and habitat conditions well. 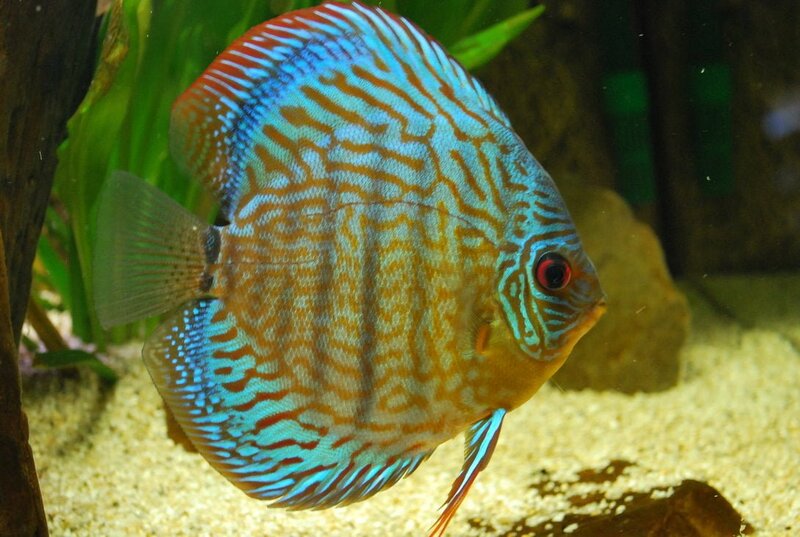 Discus fish can survive alone, but to make them happy, keep discus fish in groups. 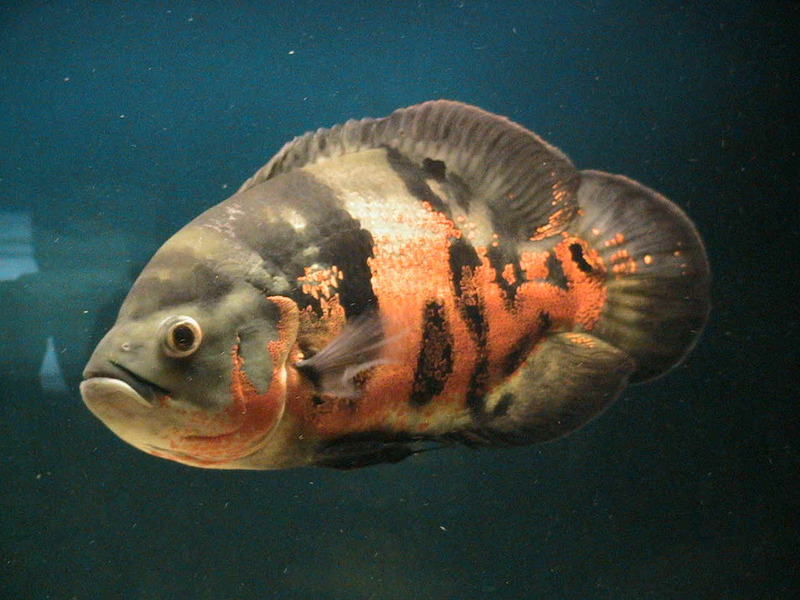 Oscars are large sized fish, typically to the length of 35 cms. The required tank size for trouble-free Oscar fish care should have at least a space of 30 gallons. Oscar fish are popular tropical fish for the home aquarium. They do require a clean and warm water within the temperature range of 74°C to 81°C. Not keeping them in required warm temperatures can upset their immune system and invite many diseases. 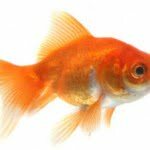 Although gold fish is a tropical freshwater fish, they do not require warm water to reside. 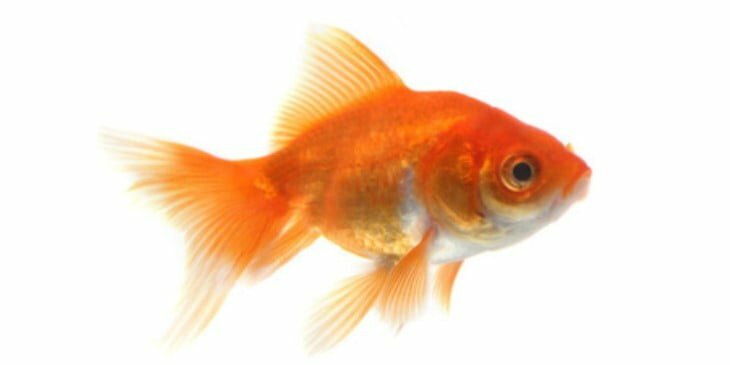 Gold fish care is also easy provided you keep them in a large tank since they can grow to large size. The only limitation with keeping Gold fish is that they do not like to be kept with other tropical species. The aquatic fish are mainly afflicted by parasitic, bacterial or fungal maladies. The fish should be diagnosed promptly and proper treatment should be followed to get rid of diseases. By following certain preventive steps, the possibility of affliction can be reduced to a great extent. Understanding and maintaining the right parameters and conditions inside as well as surroundings is vital for the life support of various types of fish aquariums. Giving your favorite fish, their respective fish names further help you to distinguish one from other in the same tank and enhance the bond between you and your special ones. Either you are an aquarium hobbyist or an experienced aquatic professional, a healthy freshwater tank needs dedicated aquarium care. Fish tank care might look difficult for starters, but with daily care and planning the maintenance schedules, one can actually enjoy keeping these amazing pets. Today biological filters are available and they are not only easy to use, but are chemical-free too. With a lot of research and development on tank care, various tank accessories are available right at the click of a mouse from online shopping sites and fish care professionals.